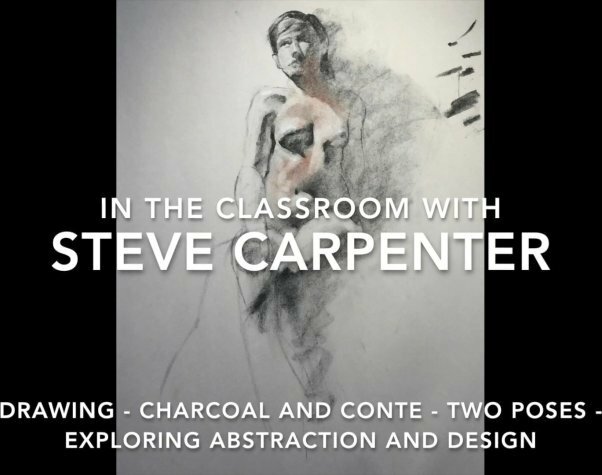 Abstraction and design are 2 key concepts discussed in this video. Steve provides ideas for finding abstract patterns in the human form. Value changes and line are combined to both represent the figure and create abstract patterns within the form. The second pose includes elements of portraiture. Basic drawing tools are discussed: line, edge, value, shape, form, pattern, scale.